The report gives one example of Apple’s shift in manufacturers being Catcher Technology, which has lost out on Apple’s MacBook metal chassis orders to China’s Everwin Precision Technology. Another company that has lost Apple orders is Taiwan-based battery module maker Simplo Technology, which has been stripped of most of its orders for MacBook and iPhone battery modules in favor of China’s Desay Battery Technology and Sunwoda Electronic. Although scoring Apple orders is a great source of revenue for suppliers, it is not by any means an indicator that you’ll find yourself on the same upwards trajectory as Apple. 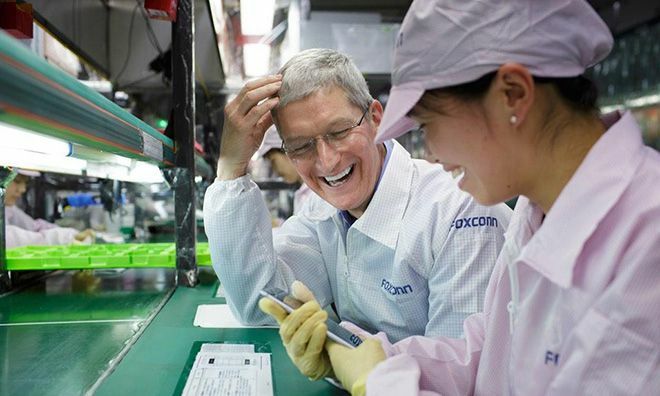 A good illustration of this is Foxconn, which is one of Apple’s longest lasting manufacturers. In its recent earnings, Foxconn showed consolidated revenues rising by 17 percent year-on-year to reach a new historical high of $34.43 billion. However, net profits for the quarter fell 2.18 percent on-year to their lowest level in five years. Earlier this year, it was reported that Apple is putting the squeeze on suppliers even more by introducing new cost-saving measures. These include negotiating its own deals for components like screws, which suppliers were previously able to buy (and mark up) themselves. Given the current brewing trade war between the U.S. and China — which will involve tariffs on imported components from China — it will be interesting to see if Apple’s strategy changes further.